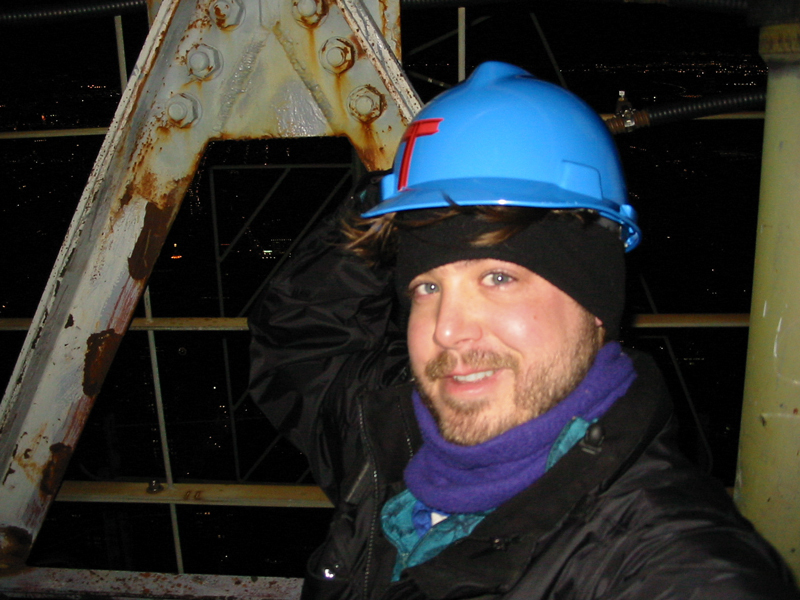 Here I am inside the antenna tower on the roof of the Empire State Building, working on a show called "How Do They Do That?" for the Discovery Channel. It was pretty windy and cold up there, so that's why I'm holding onto my hard hat!